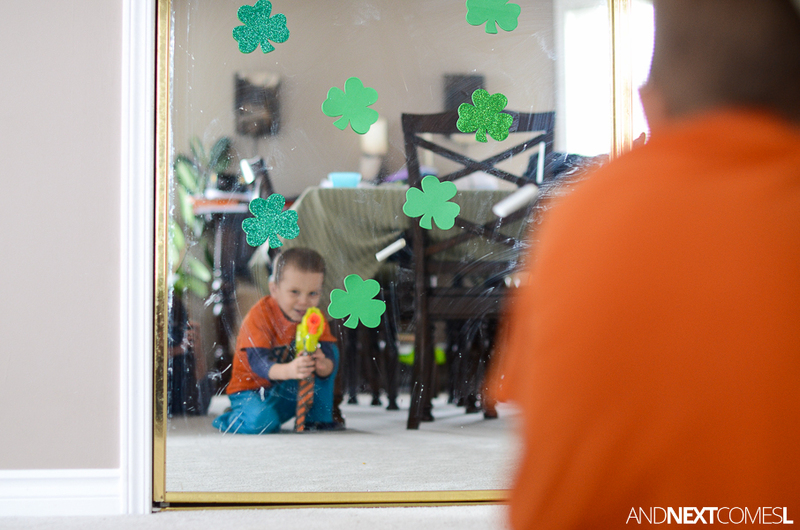 This simple St. Patrick's Day activity for kids is perfect boredom buster for boys. 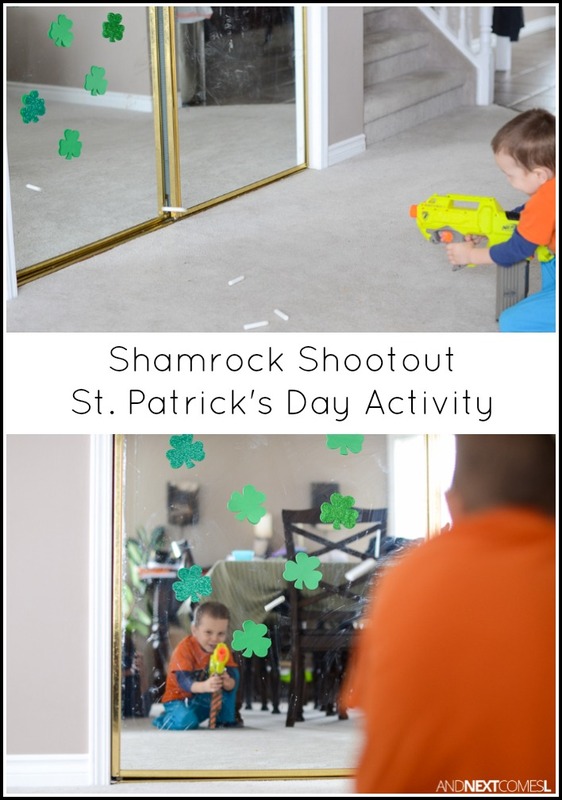 It requires so little prep that you could set up this activity in probably less than a minute. I know some people have strong feelings against letting their kids play with toy guns, but we have explained to our kids numerous times that Nerf guns are only used to shoot at targets, never at people. This simple reminder seems effective for our family. 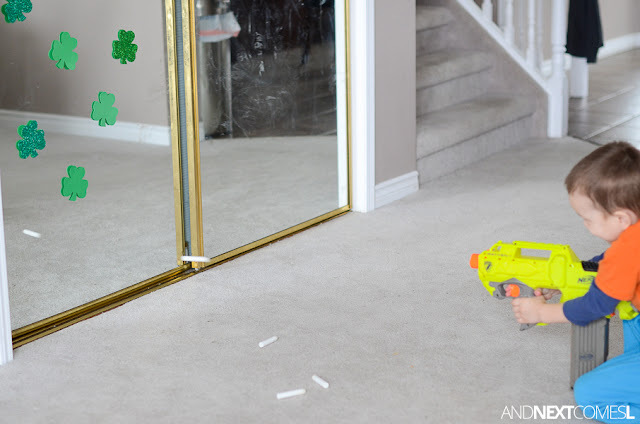 Regardless, this activity is great for working on hand strength (by squeezing the trigger of the Nerf gun), fine motor skills (loading up the ammo into the cartridges), and visual skills (aiming for a specific target and trying to hit it). You can also add a variety of learning opportunities to it, which I discuss below, to target a specific learning objectives. 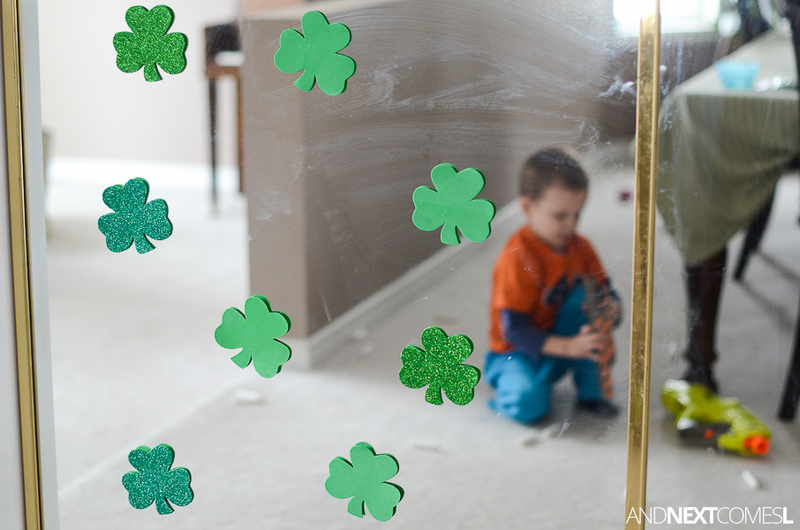 We set up our shamrock targets on the mirrored doors in our dining room by wetting the backs of the foam shamrocks. When wet, foam sticks to a variety of surfaces. However, if you are adhering the shamrocks to a wall, use tape instead. 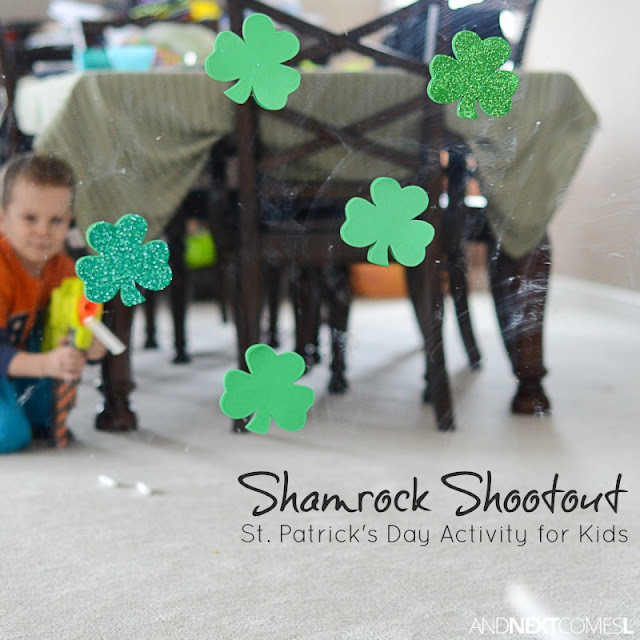 I went with plain shamrocks simply because I wanted a quick and easy activity to pull four year old away from the screen. He's a bit addicted to TV and tablets after a long winter. So I simply let him just shoot at the different targets, which he loved. He was really into this activity and played with it all afternoon!